Happy Presidents Day!. Since I have met then-presidential candidate Ronald Reagan when I was 15, I feel confident as the resident expert on all things of a patriotic nature. 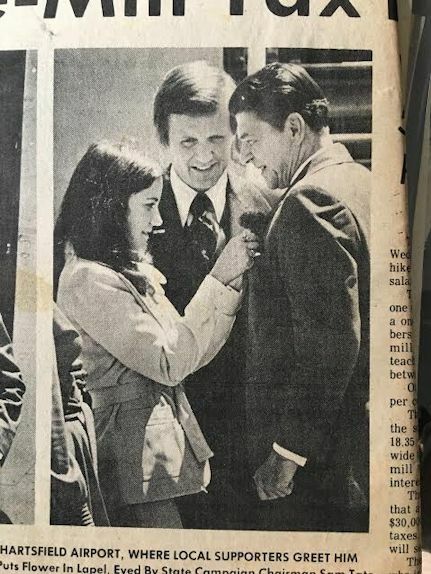 Here is a picture from the newspaper as I greeted Reagan when he landed at the Atlanta Hartsfield Jackson Airport on a campaign stop in April 1976. I pinned a red carnation on his lapel just like President McKinley wore on his lapel in 1897. The red carnations for McKinley, considered to be his good luck symbol, came from a greenhouse in the hometown where I was born, Alliance Ohio. The carnation later became the state flower of Ohio and Alliance is known as Carnation City. My grandfather worked at the same greenhouse years later. 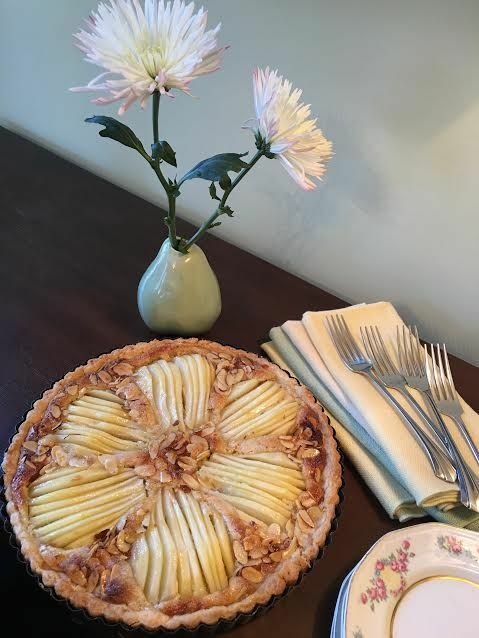 So being the presidential expert, I decided to make a pear tart today in honor of Herbert Hoover. He was president in 1929 – 1933 but my pear story is from his childhood in Newberg, Oregon. When he moved to Newberg in 1885 there was a pear tree in his backyard. He had never tasted pears before and ate them for two days straight. Nothing else, just pears. He then never ate another one for thirty years. I’m pretty sure if he had tasted my pear tart he would have been tempted to start eating them again before 30 years. 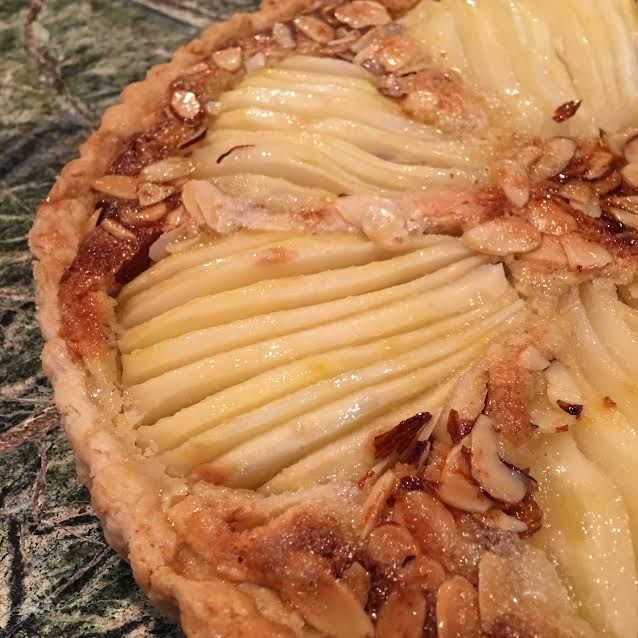 Pear Almond Tart is a favorite recipe of mine. It’s not hard to make but it is a little time-consuming so that it why it is perfect to make on a holiday like today. This is a Southern Living recipe and I have just spent the last 30 minutes of my life searching for the light version of the recipe that I KNOW exists because I have made it before, but I can’t find it. I’m going to stop looking now but when I find it, and I will find it, I will post it another day. Now, if President Trump would like a little of my Presidential expertise I will happily come to Washington and bake him a tart or pin a red carnation on his lapel. I wouldn’t want my skills to fall by the wayside. Although maybe he needs a new tradition since these have been taken by McKinley and Hoover. I could make him some grits from my vast repertoire or perhaps some biscuits from my not yet famous Biscuit Bus. Both good choices. 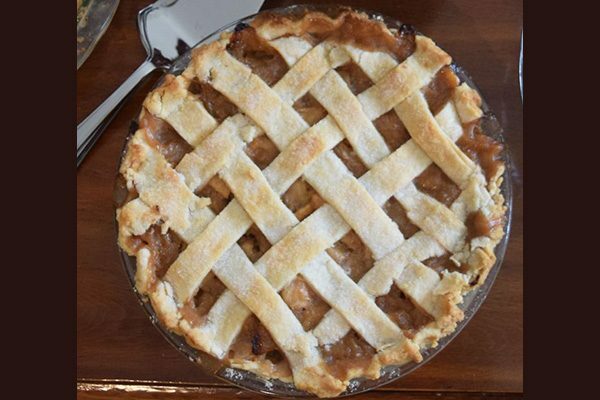 Ultimately I would probably choose my recipe for Gingered Apple Pie- a new version of an American classic for our newest American president. 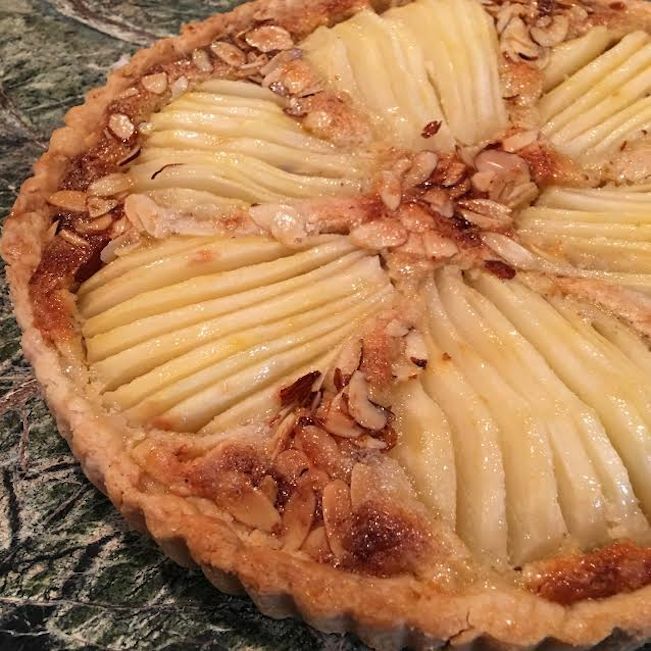 So for the pear tart, I find it faster to measure and set aside all the ingredients first (“mise en place” as the French would say – “putting in place”. For me it means having my mother running around grabbing all the ingredients and measuring them while I start cooking.) You can use pears that are a little on the firm side but not too firm as to be hard. You want them slightly firm but juicy. I bought a box of nine pears at Sam’s Club and they were perfect. 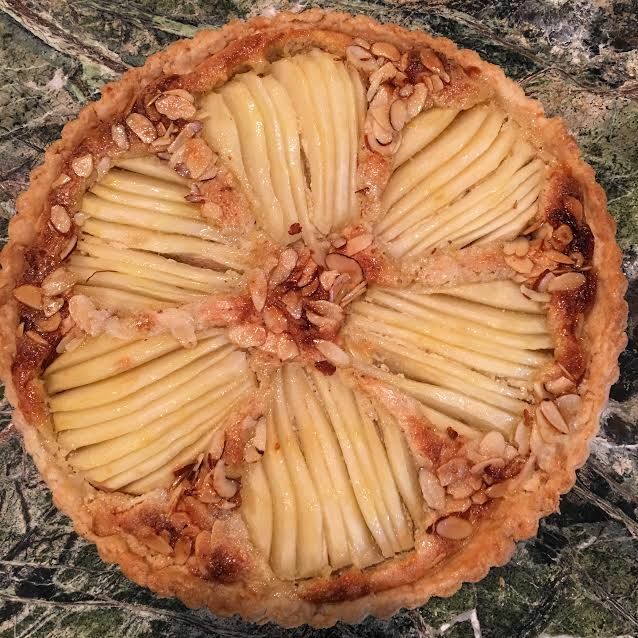 I made two of these tarts and now I have 3 pears left for salads and snacking. I made the second tart with pecans to see if I liked the taste better. I didn’t. Stick with the almonds. Combine flour, baking powder, and salt; cut in butter and shortening with pastry blender until mixture resembles coarse meal. Sprinkle with milk and stir with a fork until all dry ingredients are moistened. Shape into a ball and chill. Roll dough to 1/8 inch thickness on a lightly floured surface.j Fit pastry into tart pan. Use a food processor to chop the 3/4 cup almonds until finely ground. Add 1/2 cup sugar, egg, and 1 tablespoon melted butter; process until blended. Spread evenly over pastry. Combine the two cups water and lemon juice; stir well. Peel and core the pears; slice in half vertically. Put pears in lemon juice until ready to slice. Take a pear from the water and pat dry. Slice into thin slices vertically making sure to keep the slices in order. 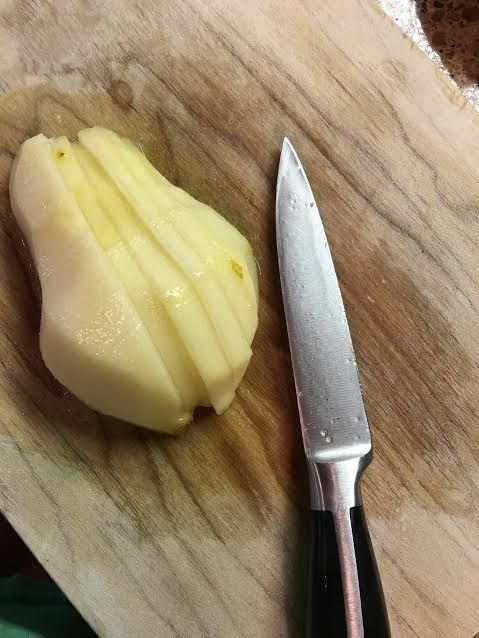 Use a large knife to lift the pear from the cutting board to the tart shell. Arrange all six pear halves in the tart pan on top of the almond mixture. Allow the slices to fan out slightly. Top with 3 tablespoons sliced almonds and 1/4 cup sugar. Drizzle with 2 tablespoons melted butter. Bake at 400 degrees for 40 to 50 minutes or until golden brown. Combine preserves and 1/8 cup water. Cook over low heat until preserves are melted. Strain through a sieve reserving syrup. Brush syrup over tart. Serves 6. ***Although I can’t find the lighter version yet, I do remember there being less sugar in the filling and in the topping and a little whole wheat flour in the crust. You also don’t brush the top with the jelly. All of these changes make it a fruity dessert rather than a sweet pastry. Both versions are very good. Frankly Southern Drawing #2 takes place tomorrow. All subscribers are eligible to win. See this post for details. Good Luck! And thank you to all of our American Presidents! It’s a tough job and you give up a lot to take on the responsibilities of being president. May God bless our presidents and our country! 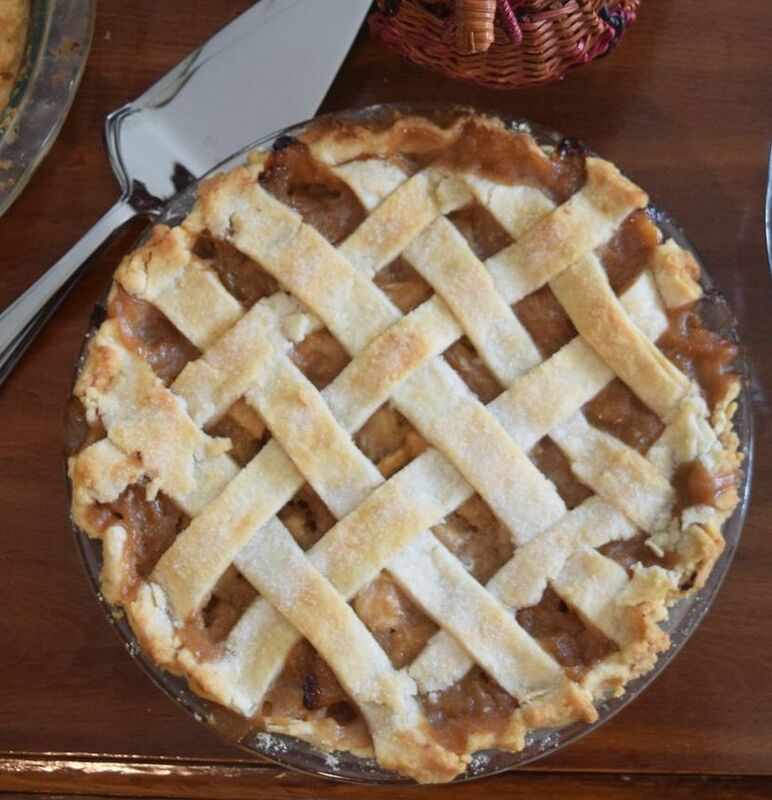 Your sliced pear pie is too fabulous to cut and, of course, eat….it is great. Thanks. I will continue searching for the less sugar recipe. It is very good, too. Pretty sure you could just use less sugar….even if I don’t find the recipe.